UKTV prepares to launch its first two HD channels on Sky | What Hi-Fi? It's signed a deal with UKTV to take the latter's first two high-def channels – Good Food HD and Eden HD – which will bring Sky's total number of HD channels to 47. Good Food HD launches on August 31st and will simulcast the standard-definition channel content from 5am to 11pm. Programmes will include the third series of Man v Food and the UK premiere of shows Good Chef, Bad Chef (series 2), Top Chef Masters (series 2) and Neven's Home Chef. 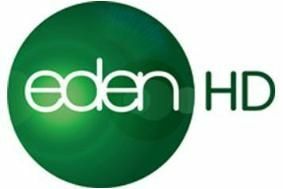 Eden HD will begin broadcasting in October from 9am to 3am. The channel will add Great Rift and South Pacific to existing titles such as Life, Wild China and Planet Earth. Hilary Perchard, Sky's director of product management, says: "We are pleased to welcome UKTV's first two high-definition channels to Sky's ever-expanding HD stable. With these additions, Sky continues to lead the way in high-definition TV."